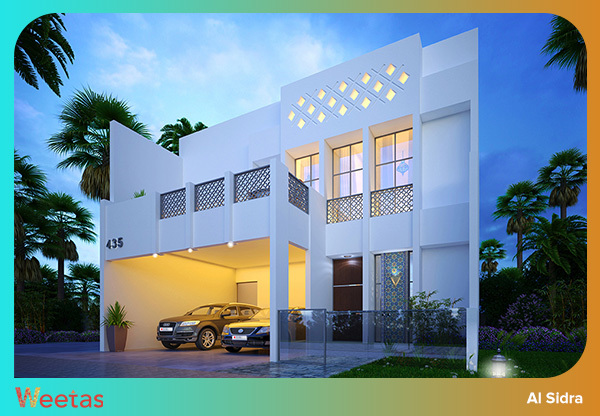 Considered as one of the biggest real estate markets in the Gulf intense Cooperation Council (GCC) countries, the real estate market of the Kingdom of Bahrain is also one of the region’s most competitive markets. And while there are several renowned developers working to make out the best of the island kingdom’s potential, Bin Faqeeh Foundation has been standing out as one of the most unique real estate development companies there. Ever since its launch in 2008 less than 10 years ago, Bin Faqeeh’s brand has reserved itself as one of the best players of the real estate sector in Bahrain. 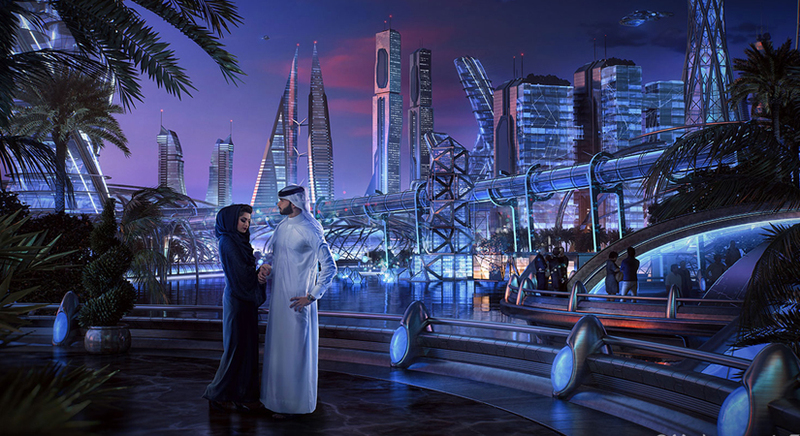 This status can be attributed to multiple reasons, the most important of which being are the developer’s creativity that was demonstrated in the projects and concepts it has worked on as well as the fact that the developer mainly aimed at acquiring a share in the prosperous market of the Bahraini Freehold Areas. Last year, our team at Weetas has conducted an interview with Faysal Faqeeh, the founder and CEO of Bin Faqeeh organization, around the current status quo of the real estate market of the Kingdom of Bahrain. Faqeeh has demonstrated his positive personal predications not only through his answers to our questions, but also through the activities of his foundation during the first four months of the current year. As a result of that, Bin Faqeeh – both the foundation of the man – won multiple deserved awards. 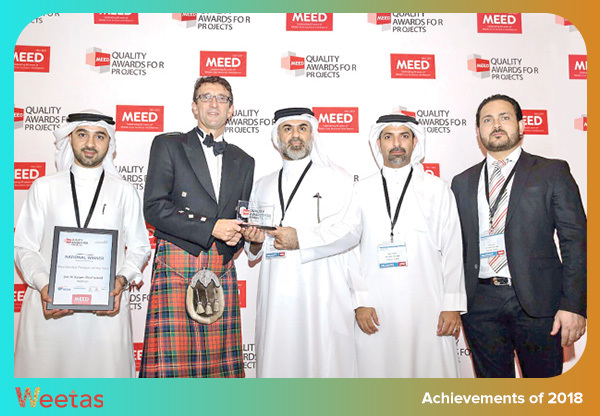 During MEED awards, Bin Faqeeh has won the Real Estate Developer of the Year award and the National Residential Project of the Year for The Treasure project. In addition to that, Faisal Faqeeh won the Visionary of the Year award during Arabian Business Real Estate awards. Bin Faqeeh has maintained for itself a portfolio of successful projects that included Layan, the residential development located in Durrat Marina which has won itself the Best Residential Project in Bahrain in Arabian Real Estate Awards in 2016 which includes studios, duplexes, one-bedroom, two-bedroom, and three-bedroom apartments, and The Tweet, a 21-storey residential tower located in Seef District that comprises 135 one-bedroom luxurious apartments. Bin Faqeeh has launched 28 projects so far, 12 of which have been successfully delivered, 4 of which have been delivered ahead of schedule. Being the winner of MEED’s National Residential Project of the Year award, The Treasure has gained a lot of attention and has been under the spotlight for a while now. Situated within the heart of the famous Dilmunia Island, The Treasure has a lot of compelling features for the local and international real estate investors. 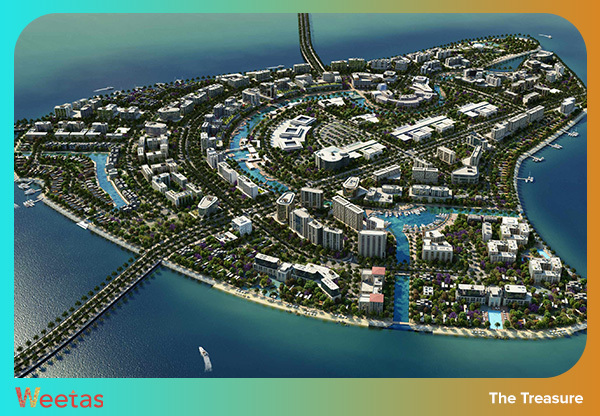 We need to mention here that Dilmunia Island is currently being developed and renovated to be a major healthcare resort and one of the key attractions of the GCC regions for the wellness tourism. The healthcare city that is being developed over an area that spans more than 165,000 square meters on the island right now is planned to comprise the state-of-the-art equipment and the most advanced medical technologies to be operated by the finest calibers in the healthcare field. The Treasure is not only situated within a close distance from the healthcare city, it is also close to the island’s airport. In addition to that, the project’s high-end residential units – which will vary between one-bedroom apartments, two-bedroom apartments, three-bedroom apartments, and penthouses – will offer its residents a mesmerizing view of the gulf waters. In addition to that, the project will also comprise luxurious entertainment facilities that include an outdoors swimming pool, a gym, a private cinema, and a gaming area. This is probably the finest example that reflects the foundation’s creativity and willingness to bring brand new concepts not only into the Bahraini market, but also to the whole GCC. 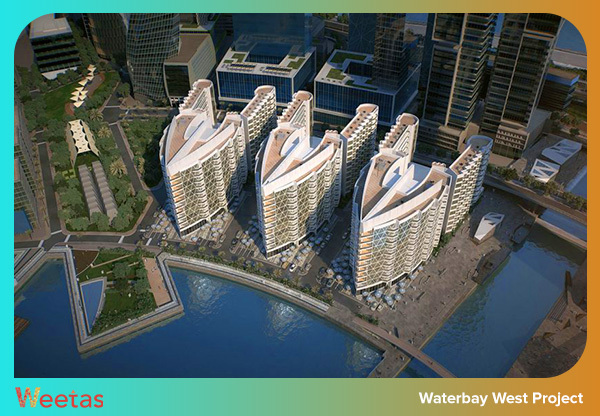 In partnership with Paramount Residences, Bin Faqeeh has unveiled the new Waterbay West project last month; the project, which is planned to be open within the second quarter of 2019, is aiming at bringing about the Hollywood Lifestyle through three towers that consist of 10 stories. Upon its announcement during an event which was attended by Shaikh Khalid bin Humood Al Khalifa, the chief executive of Bahrain Tourism and Exhibtion Authority (BTEA), as well as Steven Seagal, the famous American actor and producer and Ghassan Aridi, the chairman of Paramount Hotels and Resorts. According to Bin Faqeeh, this project is considered a challenge for the foundation as they are trying to open the project as soon as possible since Dubai, the top tourism destination in the region, does not have any projects of the same type yet and Riyadh, the capital of the Kingdom of Saudi Arabia, has one that is still not open yet. Bin Faqeeh also explained that the design and the concept of the trio of towers will be brand new to the architectural landscape of the Kingdom of Bahrain. The first tower will feature 180 apartments, while the second will feature 200 and the third will feature 189 units. Situated at the heart of Diyar Al Muharraq island, Al Sidra’s strategic location grants its residents almost an instant access to some of the top attractions like Marassi Beach, Amwaj Island and Dragon City. The project is also 15 minutes away from Bahrain International Airport. 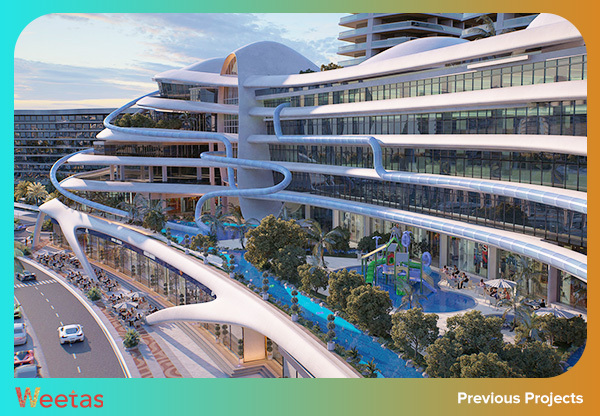 In addition to the unique and variant design styles of the residential units, the project will offer multiple luxurious amenities that include the stunning Flamingo Park, the public beaches and the connected waterways. All of these promising features and upcoming projects reflect the unique brand Bin Faqeeh Foundation has established for itself through the past decade. It is safe to say that such projects will help the Bahraini real estate market to grow more robust as one of the top attractions of investments and tourism in the GCC.